Did you think meeting your significant others' parents was uncomfortable? Try being Wade in Peeples – a lovable schmuck who's trying to ingratiate himself with his girlfriend's rich and powerful family. After various misunderstandings, shenanigans, and pratfalls, Wade finds himself increasingly desperate to win the approval of his prospective father-in-law. Peeples is written and directed by Tina Gordon Chism (Drumline) and is partially produced by Tyler Perry (Tyler Perry's Temptation). The movie stars Craig Robinson (This Is the End), Kerry Washington (Django Unchained), David Alan Grier (Happy Endings), and Diahann Carroll (White Collar). This trailer brings to mind many films with similar plots – namely Meet the Parents and its ilk. For all its familiarity, the preview induces more than a few grins and chuckles as it plays. There's a good mixture of light raunch and warm-heartedness throughout. As with any film carrying the "Tyler Perry Presents" label, there's a strong sense of family togetherness throughout. All this said, some of the jokes in the trailer fall rather flat – i.e. the done-to-death dog chase scene. Also, the choice to cast David Alan Grier against type as a stern, upright father figure is undercut by the wacky naked hijinks he gets into later in the preview. Let's hope Peeples overcomes the kludge and clichés to reach the potential of its trailer's stronger moments. 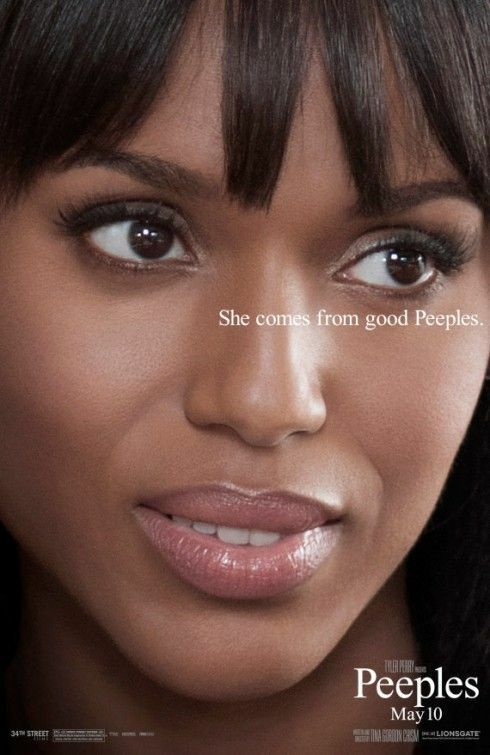 Peeples will visit theaters on May 10, 2013.